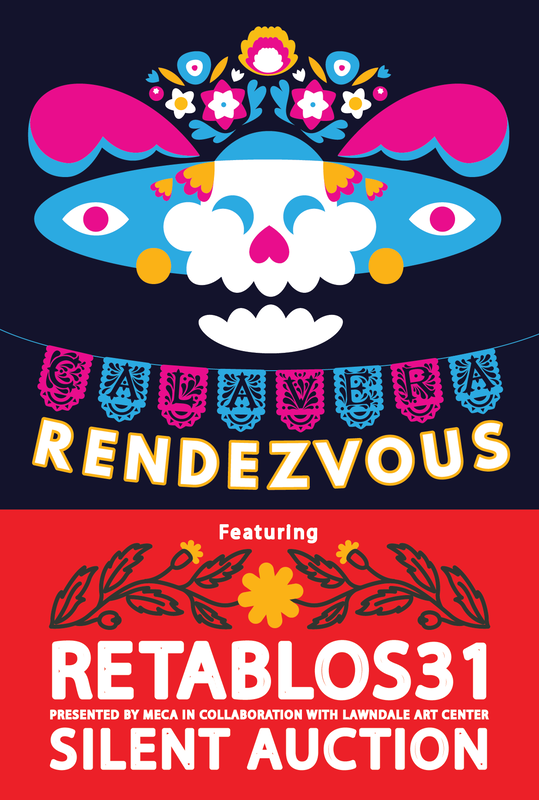 Calavera Rendezvous - "CREATING A BRIGHTER FUTURE FOR HOUSTON SINCE 1977." For information about Calavera Rendezvous 2019 check back soon. The Annual Calavera Rendezvous (Gathering of the Skulls), MECA’s annual Dia de Los Muertos themed 21+ evening celebration, is pleased to host the silent auction benefit and closing reception for RETABLOS31, a community exhibition presented by MECA in collaboration with Lawndale Art Center. Enjoy for a fun-filled night at MECA’s Dow School Campus full of music and dance, drinks, lite bites, and the opportunity to bid on (and win!) one-of-a-kind retablos created by Houston area artists. ​Festive, Dia de Los Muertos attire is definitely encouraged!